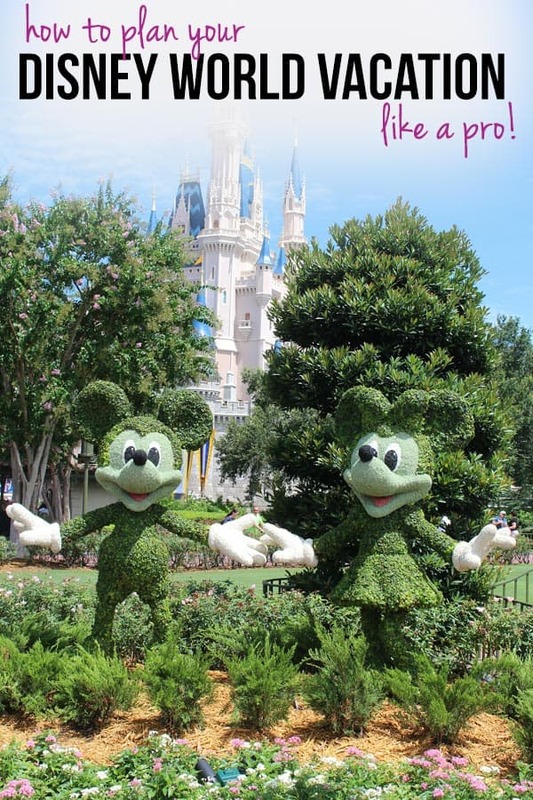 Taking some time to plan your vacation before you head out to Disney World will make sure you minimise your time spent in lines and maximise your magic! This is the second in a two-part series where I am sharing our secrets with you so you can minimise the time you spend in lines and maximise your magic! If you missed part one you can read it here. Planning your vacation is a three-step process. First up you need to work out which days are the best days to visit which parks (The Traffic Light System), then you need to decide which parks you will visit when during your vacation time (The Itinerary) and finally you can move on to looking at which order to tackle the attractions in (making a Touring Plan). This is all about minimising your wait times and maximising your enjoyment! Crowd levels across the Resort vary dramatically throughout the year, for example Christmas and Thanksgiving are busier than the period running up to Thanksgiving. Crowd levels will obviously have an impact on your vacation; the busier the crowds the longer the wait times. But there is a second level of crowd levels that you need to consider and that is that at any time during the year certain parks are busier on certain days than others. So even though we personally take our vacation in a quiet period we still need to make a plan so we can avoid the busiest days at the parks. And this is where the Traffic Light System comes in. I tried to work this all out myself one year and it took hours of Google searching and head scratching and a few expletives… and then I discovered a site called Touring Plans and all my prayers were answered! They have a huge team of people, years of experience and a gigantic database and they combine all of that to produce their daily Park Recommendations which tell you which parks are red (avoid) and which parks are green (visit). They do give some information away for free, but it’s for limited dates; currently they display 30 days of calendar information, 30 days from today. So if today is August 1, you can see the park recommendations for August 31 through September 30. You can click on this link to see what is currently available today. If your trip is next month then you’re probably all set, but if you’re trying to plan a few months ahead then you’ll need to subscribe – because then you get access to a whole year’s worth of recommendations. Subscription is currently $13 and it’s worth every cent. 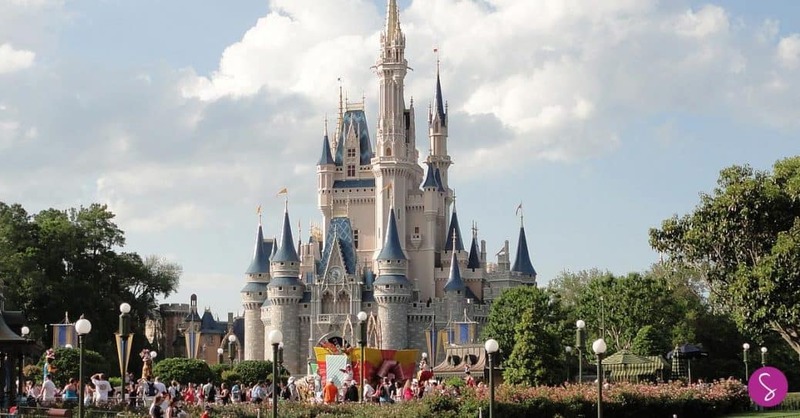 When we’re budgeting for our next Disney vacation I add that 13 bucks to the budget because a subscription to Touring Plans is a crucial part of our planning toolkit. Now you know which parks are Red, Green or Amber on any given day (thanks to the Touring Plans site) and you understand the 12 secrets of planning you can go ahead and make your itinerary. I use a simple template for mine made up of a series of boxes. I put the days of the week across the top of the page and then underneath each day I draw three boxes: one for morning, one for afternoon and one for evening. Then using the information I’ve gathered together in the previous two steps I fill in each box. By breaking each day down into three parts it’s easier to plan, and also easier to amend the plan on the fly if you need to, perhaps due to illness or inclement weather. As you can see I’ve included a reference to a dining reservation here and we haven’t talked about that just yet. It’s ok, it’s coming up next. You need to really try and plan your visits to the parks and then fit your dining reservations around them, after all you can’t book a restaurant until you know where you’ll be on that day right? Once you have made your reservations you can go back to your itinerary and include the relevant information. You can just draw your plan out on a piece of paper or use a spreadsheet application like Microsoft Excel or Open Office. Touring plans allow us to beat the lines by experiencing attractions and shows in a certain order. Throw in a few well-timed FastPasses and you’ll minimise the time you spend in line and maximise your enjoyment. So many people turn up at the park with no idea what to see or do first and just sort of meander around not really seeing or doing anything. It actually saddens me the number of people I see doing just that. Now a touring plan isn’t something you can actually create yourself, you might know which attractions you want to experience, but you don’t know how popular each attraction will be at any given time of the day, or the best order in which to experience them. And that’s when those clever folks from TouringPlans.com come back into it. They have been researching this stuff for years, they have teams out in the parks testing out different combinations to figure out the optimum way to tour the park. And then they create different touring plans for different groups of people: couples, families with preschoolers, families with teenagers, seniors and so on. To make sure you make the most of your Disney park days you really need to invest in a subscription with TouringPlans.com. Their touring plans will show you the best way to tour the parks so you can experience as many attractions as possible without standing in long lines. Seriously the $13 it will cost you for a subscription is worth it’s weight in gold!